Kind of a weird blending of Mexican and Italian foods I thought, but I gave it a try. The result was a quick and simple dinner that was actually really good. The time saver here is using tortillas (instead of dough). 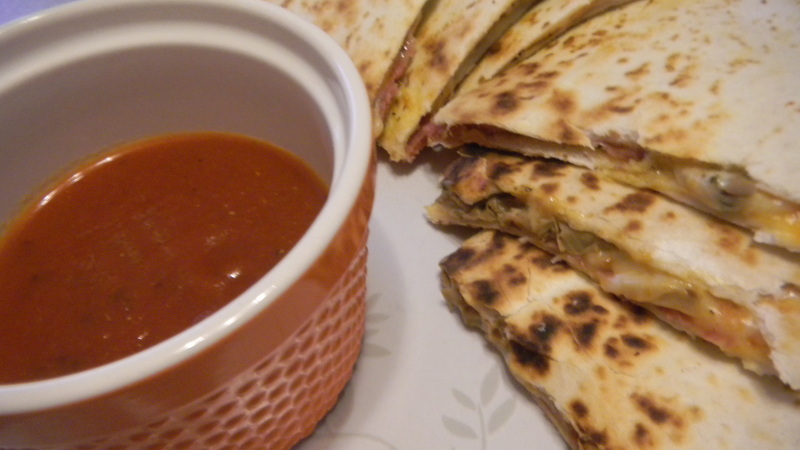 You don’t have to cook the quesadillas for that long at all, which makes these faster than baking a whole pizza. To start, saute whatever veggies you want to put in the quesadilla. Go crazy. We only used mushrooms and onion, since that’s what we had around the house. Next, take two tortillas and brush a teeny amount of sauce onto them. I’m talking a very small amount of sauce. So little that if you hold a tortilla up, the sauce shouldn’t run down the side at all. Put your ingredients on top of one of the tortillas. 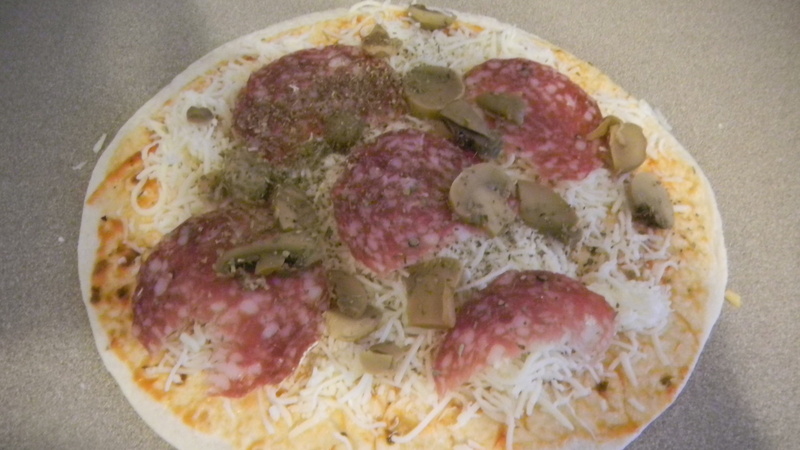 I added the mushroom, onion, some salami, cheese, red pepper flakes, and pizza seasoning. 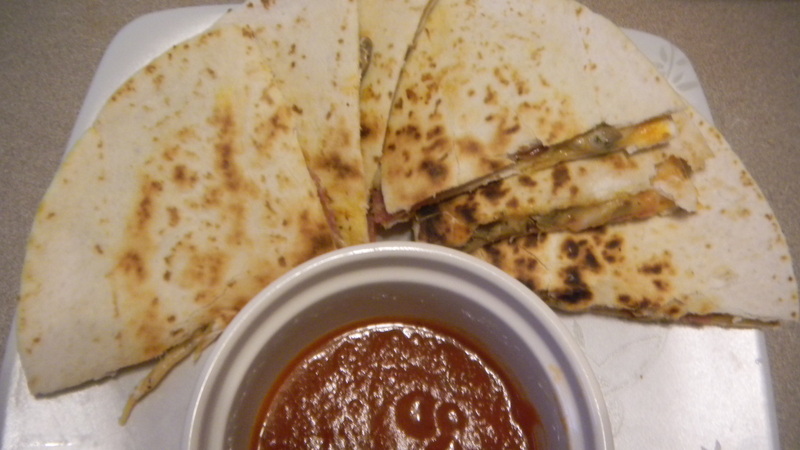 Make a sandwich by placing the other tortilla, sauce side down, onto the one with all of the toppings. 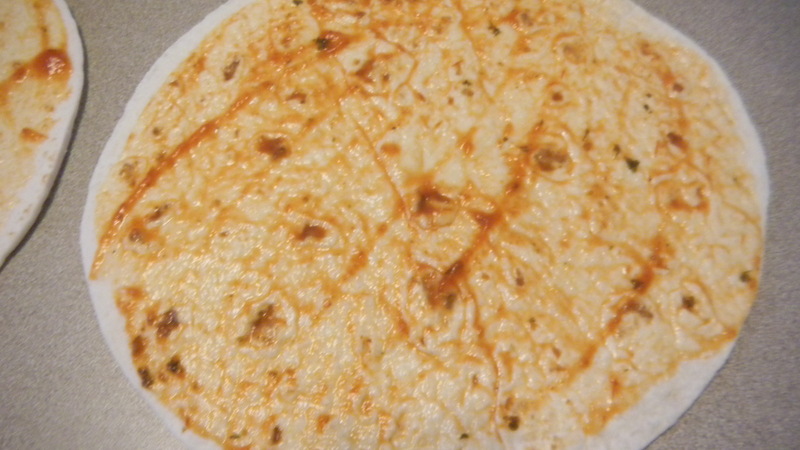 Have a skillet warmed, spray a little bit of cooking oil in it, and drop the quesadilla into the pan. 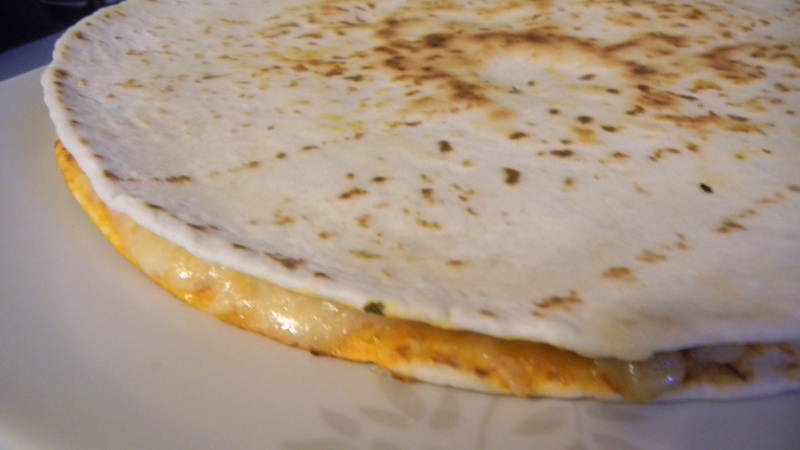 Cook for a few minutes on each side, basically just until the cheese melts. Serve with a dipping bowl of pizza sauce.